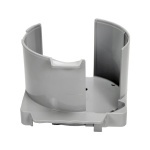 Automatic CD & DVD duplicators are a must for anyone copying large amounts of CDs or DVDs. Our robotic systems will work while you're away. PP-100IIBD The Epson Disproducer 100-Disc Blu-ray Publisher has all the features of the Standard 100-Disc Publisher with a capacity of 100 discs and two operating modes, plus the ability to publish Blu-ray discs. And with vibrant six-color inkjet printing and precision AcuGrip robotic technology, easy-to-use software and unmatched reliability, you'll get the high quality results you're looking for every time. PP-50IIBD Epson's Discproducer Blu-ray 50 model was designed for users with smaller output requirements. It has all the features of the Standard 50 Disc Publisher with a capacity of 50 discs and two operating modes, plus the ability to publish Blu-ray discs. And with vibrant six-color inkjet printing and precision AcuGrip robotic technology, easy-to-use software and unmatched reliability, you'll get the high quality results you're looking for every time. PP-50II Epson's Discproducer Standard 50 model was designed for users with smaller output requirements. It has all the same outstanding features as the Standard 100 model, but with a smaller capacity of 50 discs and two operating modes. PP-100II The Epson Discproducer is a professional, high-performance and affordable CD/DVD duplicator with six color printing and two CD/DVD recorders. This is one of the newest systems to enter the disc publishing field. 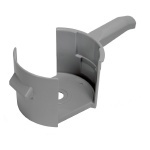 It incorporates Epson's quality robotics and well known ink matching. 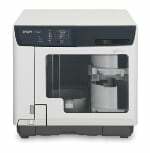 PP-100AP The Epson Discproducer print-only model is ideal for use with high-speed duplication systems. It has all the features you need to print up to 100 customized discs at a time at a print speed of up to 95 discs per hour with its vibrant six-color inkjet printing, precision AcuGrip robotic arm and easy-to-use software. PP-100N The Epson Discproducer Network model supports shared access between multiple users with ethernet connectivity. In addition, it features an LCD display for publisher status and error reporting, an embedded processor to expedite and speed up publishing jobs, an embedded hard drive for storing publishing jobs and a door lock to restrict access. Our Price: $14,995.00 CALL for our lowest price! List Price: $15,595.00 Don't pay list price. List Price: $18,695.00 Don't pay list price. DiscSprinter TEAC's new DiscSprinter Disc Publishing System offers an unmatched client server experience through feature-rich software, powerful embedded computers and integrated dye-sublimation printing. You need not look any further than the DiscSprinter for your organization's disc publishing needs. TCP-7550-P55C 5 drive Standalone & automated Publisher DVD+/-R duplicator includes Teac P55 printer. TCP-7550BD-P55C 5 drive Standalone & automated publisher for CD, DVD+/-R and Blu-Ray duplicator. Includes Teac P55 printer. List Price: $9,995.00 Don't pay list price. 63136 Bravo SE-3 is a compact, all-in-one, automated disc production device that fits perfectly on your desktop. It automatically copies and prints up to 20 discs per job and is perfect for a wide variety of light-to medium-duty disc publishing jobs. 63550 Bravo 4200-series autoprinters automate the process of printing quantities of recordable CDs, DVDs and Blu-ray discs. Using built-in robotics, discs are transported one at a time to a high-speed, high-resolution full-color disc printer. 63553 The Primera Bravo 4201 Disc Publisher includes one built-in DVD +/- R/CD-R recordable drive and integrated high-speed inkjet printing. 63555 The Primera Bravo 4202 Disc Publisher includes two built-in DVD +/-R / CD-R recordable drives and integrated high-speed inkjet printing. Our Price: $5,695.00 CALL for our LOWEST price! List Price: $3,995.00 Don't pay list price. List Price: $4,595.00 Don't pay list price. HCL-8000 For unattended disc duplication runs, let the Microboards HCL autoloader handle the work load with its state-of-the-art robotic arm and eight drives. TCP-7200 2 drive standalone & automated publisher for duplication of CD and DVD+/-R. DOES NOT INCLUDE PRINTER. TCP-7400 4 drive standalone & automated publishing system to duplicate and print CD and DVD+/-R. DOES NOT INCLUDE PRINTER. List Price: $5,995.00 Don't pay list price. List Price: $4,495.00 Don't pay list price. TCP-7200BD 2 drive standalone & automated publishing system to duplicate CD, DVD and Blu-Ray discs. 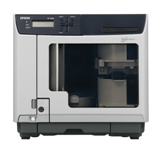 Duplicator features 80GB hard drive and 220 input/output disc capacity. NO PRINTER. Windows/Mac compatible. TCP-7400BD 4 drive standalone & automated publisher CD/DVD/Blu-Ray duplicator. DOES NOT INCLUDE PRINTER. NS-2100BDi 2 drive standalone & automated publishing system with integrated FlashJet II inkjet printer to duplicate and print CD, DVD+/-R and Blu-Ray. List Price: $3,495.00 Don't pay list price. List Price: $12,995.00 Don't pay list price. List Price: $10,995.00 Don't pay list price. NS-2100i 2 drive standalone & automated publishing system with integrated FlashJet II inkjet printer to duplicate and print CD and DVD+/-R. TCP-7200BD-P55C 2 drive standalone & automated publishing system to duplicate and print CD, DVD and Blu-Ray. Includes Teac P-55 printer. 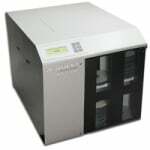 TCP-7200-P55C 2 drive standalone & automated publisher CD and DVD+/-R duplicator. Includes Teac P-55 printer. List Price: $13,995.00 Don't pay list price. List Price: $16,195.00 Don't pay list price. List Price: $4,995.00 Don't pay list price. TCP-7400-P55C 4 drive standalone & automated publishing system to duplicate and print CD and DVD+/-R. Includes Teac P55 Printer. TCP-7400BD-P55C 4 drive standalone & automated publishing system to duplicate and print CD, DVD+/-R and Blu-Ray discs. Includes Teac P55 Printer. TCP-7200-FJ2 2 drive standalone & automated publisher to print and duplicate CD and DVD+/-R with FlashJet 2 Printer. List Price: $5,795.00 Don't pay list price. List Price: $6,995.00 Don't pay list price. TCP-7200BD-FJ2 2 drive standalone & automated publishing system to duplicate CD, DVD and Blu-Ray discs. 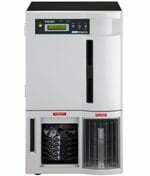 Duplicator features 160GB hard drive, 220 input/output disc capacity and embedded FlashJet 2 inkjet printer. Windows/Mac compatible, TCP-7400-FJ2 4 drive standalone & automated publishing system to duplicate and print CD and DVD+/-R. Includes FlashJet 2 printer. TCP-7400BD-FJ2 4 drive standalone & automated publisher CD/DVD/Blu-Ray duplicator. Includes FlashJet 2 inkjet printer. List Price: $11,595.00 Don't pay list price. Our Price: $8,895.00 CALL for our LOWEST price. Our Price: $9,995.00 CALL for our LOWEST price. 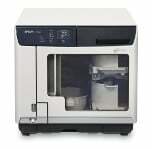 NS-2100t The NS-2100t is a CD/DVD disc publisher with integrated printing using a Teac P-55 thermal printer. These network attached publishers are operating system independent and feature a 150-disc capacity. NS-2100BDt The NS-2100BDt is a CD/DVD/Blu-ray disc publisher with integrated printing using a Teac P-55 thermal printer. These network attached publishers are operating system independent and feature a 150-disc capacity. NS-2100p The NS-2100p is a CD/DVD disc publisher with integrated printing using a PowerPro 3 thermal printer. These network attached publishers are operating system independent and feature a 150-disc capacity. You MUST call for pricing. No web orders. List Price: $6,595.00 Don't pay list price. List Price: $8,895.00 Don't pay list price. 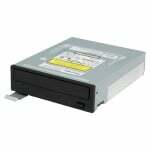 BDWPR1EPDV Replacement CD/DVD Drive for Epson Discproducer PP-100II TCP-7550 5 drive Standalone & automated publishing system to duplicate and print CD and DVD+/-R. Comes with 160GB hard drive, 550 disc capacity. No printed included. TCP-7550BD 5 drive standalone & automated publisher CD, DVD and Blu-Ray duplicator. DOES NOT INCLUDE PRINTER. Hera 3 BD Automated 3 drive standalone CD/DVD/BD duplicator (without printer) and up to 330 disc capacity. This unit contains an exchangeable tower with NEW Pioneer DVR-115 16X drives. Hera 3 Automated 3 drive standalone CD/DVD duplicator (without printer) and up to 330 disc capacity. This unit contains an exchangeable tower with NEW 16X DVD+R Drives. Hera 6 BD Automated 6 drive standalone CD/DVD/BD duplicator (without printer) and up to 630 disc capacity. This unit contains an exchangeable tower with NEW Pioneer DVR-115 16X drives. Hera 6 Automated 6 drive standalone DVD-R duplicator (without printer) and up to 630 disc capacity. This unit contains an exchangeable tower with NEW 16X DVD+R Drives. Hera 9 BD Automated 9 drive standalone CD/DVD/BD duplicator (without printer) and up to 900 disc capacity. This unit contains an exchangeable tower with NEW Pioneer DVR-115 drives. Hera 9 Automated 9 drive standalone DVD-R duplicator (without printer) and up to 900 disc capacity. This unit contains an exchangeable tower with NEW 16X DVD+R Drives. Olympus 7T All-Pro Solutions Olympus 7T Automated 7 drive Standalone DVD/CD Publisher with a Built-In PC and P-55 Photorealistic thermal printer. Keyboard and mouse not included. 600 disc capacity Olympus 7P All-Pro Solutions Olympus 7P Automated 7 drive Standalone DVD/CD Publisher with a Built-In PC and Pro IV thermal printer. Keyboard and mouse not included. 900 disc capacity Zeus 8 The Zeus 8 is either Standalone with no PC requirement, or can be connected to a PC in order to be networked. The Zeus 8 is similar to the Hera series but burns ASYNCHRONOUSLY netting an eye-popping 130 CDs per hour using a 700 MB master as well as 56 DVDs per hour using a 4.4 GB master! The Zeus 8 is configured with 8 drives and 900 disc capacity as well as a 250 GB internal HDD!